Do You Want To Become A Blogger? If your answer is Yes then read this whole article. In this article I have written all the get to know stuffs about Blogging. But a question arises, "How To Make A Blog Or Website And How To Earn From It?" Yes, your question is true and I also have the solution for your query. So, I request you to go through the article, your all queries will be automatically sloved. What I A Blog And A Website? Remember, "All Bikes Are Vehicles But All Vehicles Are Not Bikes"
Similarly, "All Websites Are Blog But All Blogs Are Not Websites"
A blog is a type of website where you can share your knowledge about any particular topic to your audience on Internet. The posts of a blog are presented in reverse chronological order(newer to older). Blogs are usually run by an individual or by small groups. They are updated on daily or weekly basis. A website can be anything. Anything on the Internet presented in HTML, JAVA, CSS, JAVA SCRIPT, PHP, etc. i.e. it can be a product selling website, it can be a service providing website, it can be a streaming website, etc. They are not updated like blogs. 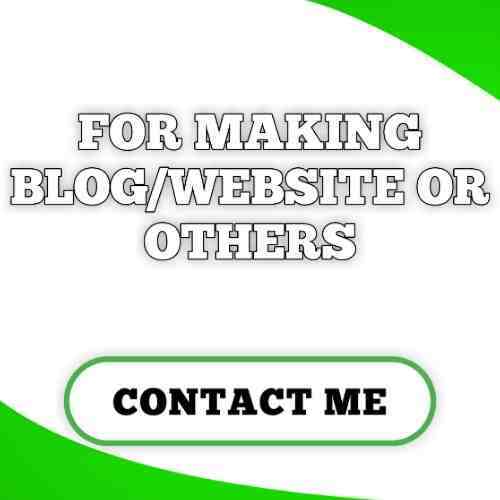 Unlike Website a Blog can be managed by an individual. Unlike Website a Blog contains comment section where the viewers can express their feelings. Unlike Website article a Blog article is organised in Categories. For making a blog or website the platforms like WordPress And Blogspot are present. So, lets discuss about them. Wordpress - Wordpress is a website builder platform which is both free or paid. It is a professional website builder platform. You have to pay for the hosting as well as for the domain otherwise if you will use WordPress for free you will get a subdomain like yourdomain.wordpress.com, etc. But if you want everything professional then this is the best choice for you. You can use many third party plugins in WordPress. What Is The Difference Between Blogspot And WordPress? 1. Adsense - It shows advertisement on your website and gave you money for per click on ads in your website. It is the best platform to earn money through a website. 2. Affiliate Marketing - It is the best way to earn money by promoting some product of E-Commerce sites like Amazon, Flipkart, Snapdeal. 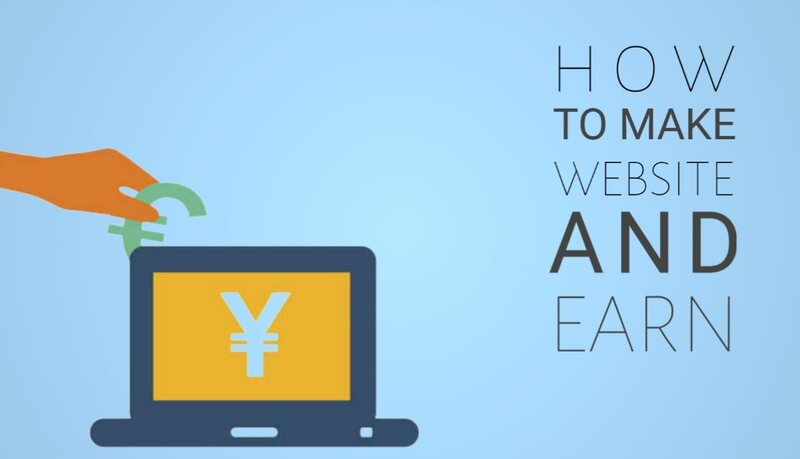 For this, you have to join affiliate program of e-commerce sites and enter the URL of the product and you will get an affiliate link when you will promote it and anyone buy from it you will get some of its commission. 3. Sponsorships - As we get sponsorships for our business. Same in this when you have a quality website you will get sponsorships and you have to promote the product in your article and you will get an amount. 4. Paid Reviews - This is a way by which you have to write a review on some product and you will get amount by the company which give you the product but you have to get a decent traffic daily. Hope you liked this whole article about "How To Make A Blog/Website And Earn In An Easy Way" If you really liked then comment your thoughts below. nice blog thanks for useful information ,click more detailes visit our website. Thanks To You For Reading Our Article. Stay Tuned With Us For Upcoming Articles.